Uma Bharti says Ministry is considering model Bill. The Central government is likely to begin consultations with States to frame an Act to prevent the misuse of fresh water, a rapidly diminishing resource in India. “Water is a State subject and it is incumbent on States to protect their resources…we will consider a model Bill to help with this,” said Union Minister for Water Resources, River Development and Ganga Rejuvenation, Uma Bharti. Experts from the Water Resources Ministry have already visited a few States to ascertain the groundwater situation, said Shashi Shekhar, Secretary at the ministry. Mr. Shekhar, however, cautioned that it was too early to moot penalties and firm targets for States that failed to check water misuse. Though all groundwater is considered freshwater, the latter can also include water from ponds, lakes and other sources of surface water. The management of water is a State subject in India and that has complicated efforts to manage water resources. The India Water Week — a multidisciplinary conference, set to begin on April 4, to discuss India’s challenges with freshwater management — will have a session on legal remedies to address the depleting ground water resources and also discuss legal aspects of the issue, Ms Bharti added. According to the India Water Portal, as much as 85 per cent of rural drinking water is derived from wells, with 88 per cent of it used for irrigation purposes. Up to 48 per cent of the urban population also uses groundwater. A recent study by the Central Ground Water Board found that groundwater exploitation and contamination has affected nearly 60 per cent of Indian districts. This is not the first time that the Centre has mooted an over-arching legislation for the management of ground water. 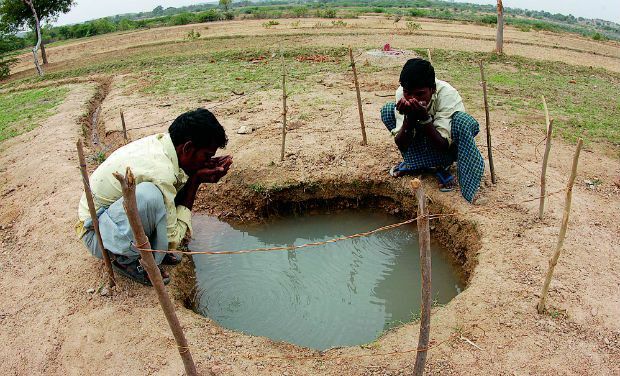 Since the 1970s, says a report by the now-renamed Planning Commission, laws have been mooted to encourage States to use groundwater more judiciously but except for Andhra Pradesh, Bihar, Goa, Himachal Pradesh, Karnataka, Kerala, Maharashtra (drinking water focus), Tamil Nadu, West Bengal and union territories such as Chandigarh, Dadra and Nagar Haveli, Lakshadweep and Pondicherry, these laws haven’t been effectively implemented.